Rabbi/Cantor David Sirull posted this upbeat musical Rosh Hashanna video on You Tube. He is the spiritual leader of the Conservative synagogue in Augusta, Georgia and was classically trained in the art of Eastern European Chazanut. 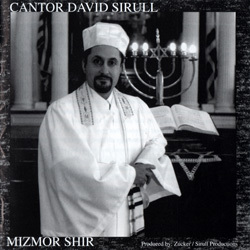 To hear a different side of Cantor Sirull’s talents listen to Mizmor Shir which is part of the Judaica Sound Archives collection.